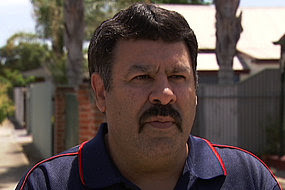 A former ATSIC Commissioner is calling for a new national body to represent indigenous communities. The Aboriginal and Torres Strait Islander Commission was abolished four years ago by the Federal Government. South Australia's Commissioner for Aboriginal Engagement Klynton Wanganeen says he will raise the idea at this weekend's 2020 Summit. He says there needs to be a debate in the Aboriginal community to work out what type of body would give the best representation. "To work out whether we go down a representative structure where there's elections or whether there's a model where we can grab the expertise that already exists in the Aboriginal community," he said.
" We have Aboriginal doctors, Aboriginal professors, Aboriginal lawyers et cetera and quite often we don't have an opportunity for those people to be engaged."